Oven-baked beans, just simmerin' away. An unusual summer Sunday: J was on call all weekend, and I had signed up for a daylong sewing class in our neighborhood. Meanwhile, J’s mom, Margaret, was scheduled to arrive in the afternoon. And, to top it all off, we had invited James and Zandra over for Sunday dinner. Our Sundays are typically far more relaxed, but this was the exception, and with J being tied to work, the shopping and other dinner preparations were up to me. So, when planning the meal, the mantra was: Keep it simple; make it ahead. Taking inspiration from the mid-summer edition of Saveur — BBQ Nation — we decided to employ the grill for dinner. And after debating the various grilling options, we landed on sausages made at our neighborhood grocery store, New Seasons. When I told the eager-to-help man at the meat counter our plan to offer a variety of sausages, he said he’d hosted his own sausage feast just a few days earlier, and it was a huge success. Upon his hearty recommendation, I choose the chicken, feta and spinach links (he admitted he didn’t think he’d like them, and was surprised when they turned out to be his favorite). Then I grabbed a couple of basic bratwurst and a few spicy Polish sausages. The main dish was set, and next it was onto sides. Saveur had featured a lovely summery cucumber salad in the barbecue edition that intrigued me. 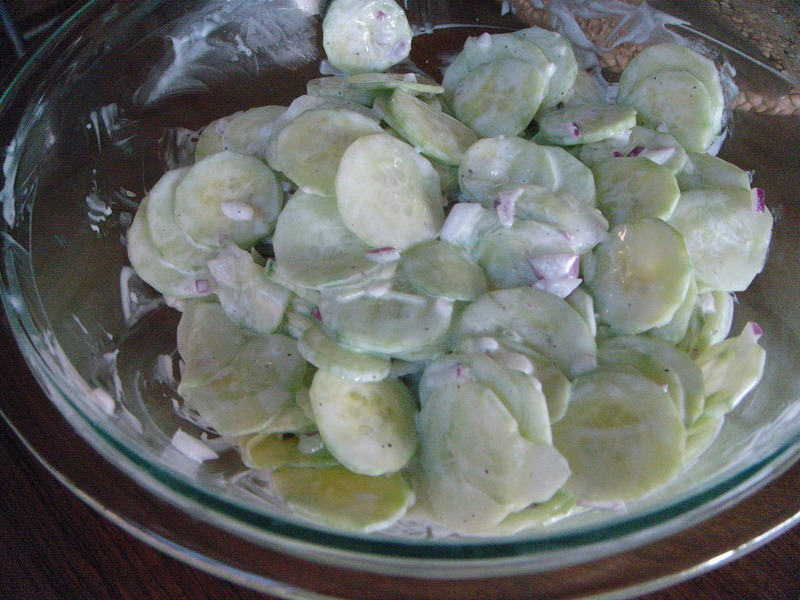 Thin-sliced, peeled cucumbers and red onion tossed with sour cream and sherry wine vinegar dressing. I made the dressing the night ahead, leaving the cucumber slicing for the last minute. This was easy enough, but in retrospect, I should have sliced and drained the cukes the night before as one does for tzatziki. Noted for next time. The menu lacked something. 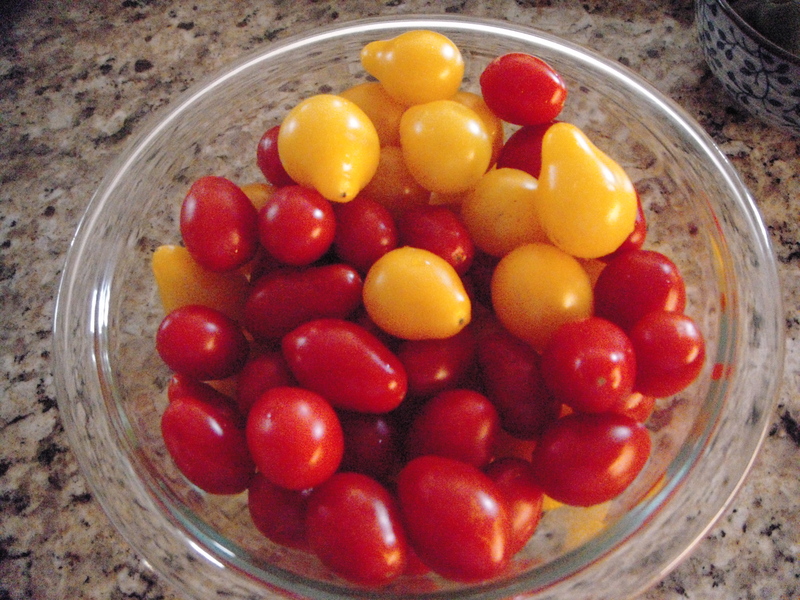 We discussed pasta salad and potato salad before finally landing on oven-baked beans, also from the magazine. 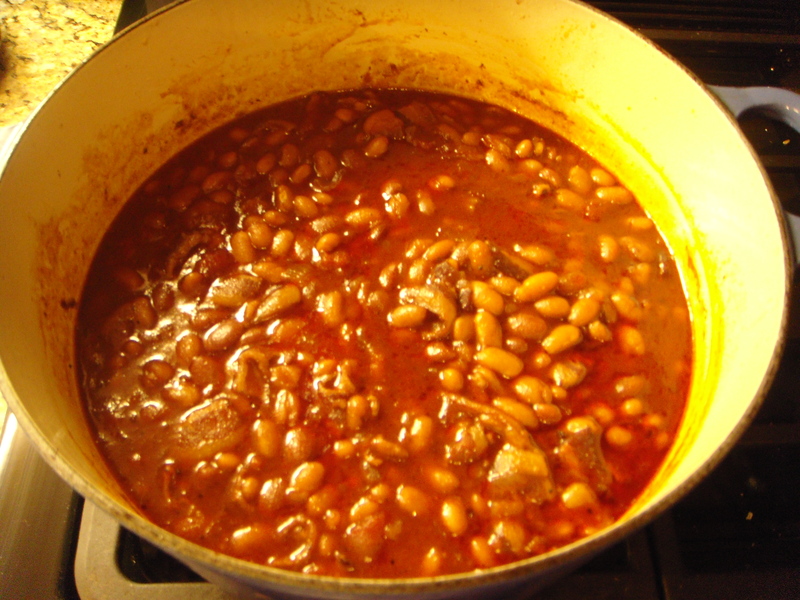 I’d never baked my own beans, and hadn’t contemplated how making them from scratch would improve the flavor. Of course I should have known. 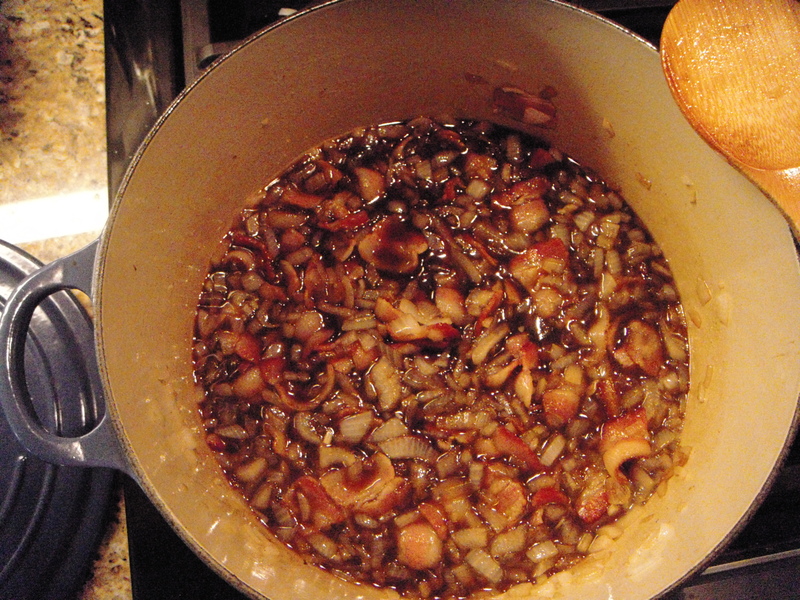 My adaptation adds more onion, less sugar and a touch of bourbon. Preheat oven to 350. 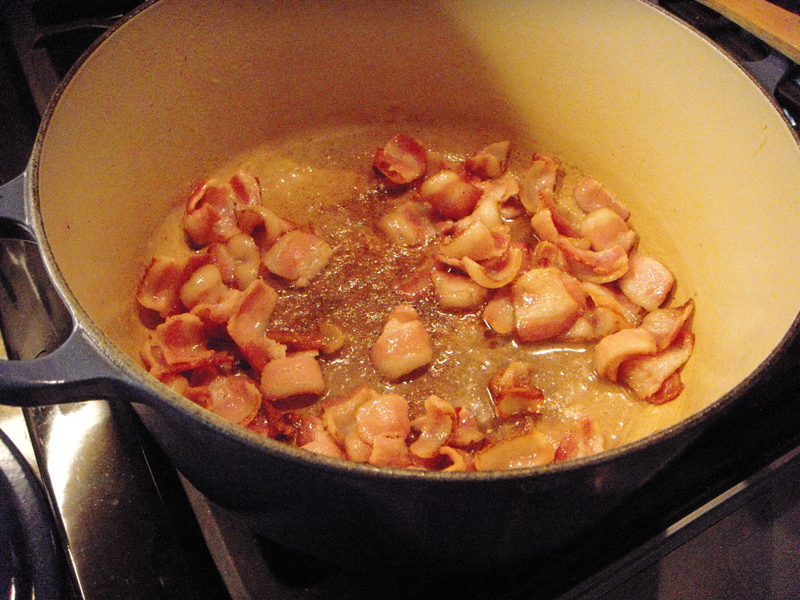 Sautee the bacon in a Dutch oven or deep oven-proof skillet until soft, but not crisp. 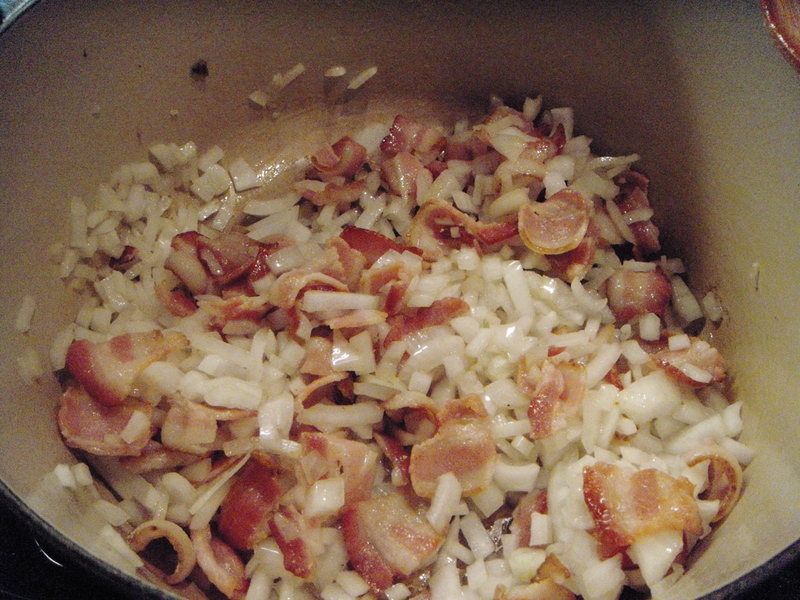 Add the diced onions and cook until translucent. 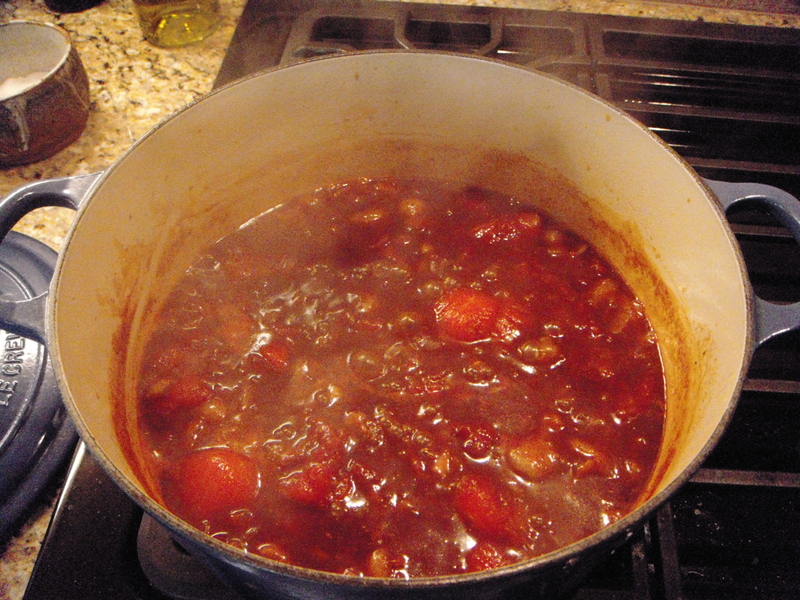 Add the sugar, molasses, bourbon, barbecue sauce, stock, tomatoes, clove, mustard, salt and stir until mixed. Bring the mixture to a boil to thicken slightly. Add the beans and bring to a simmer. Cover and bake for 2 hours. Let cool before serving. The beauty of this recipe is that it can be made ahead, and re-heated either on the stove top or in the oven before serving. 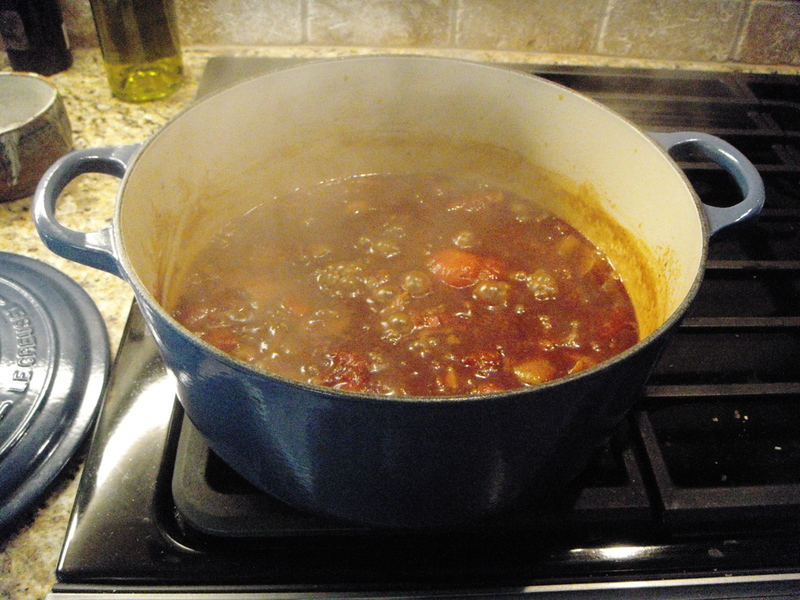 In fact, making the beans ahead only intensifies the flavors. Yep. 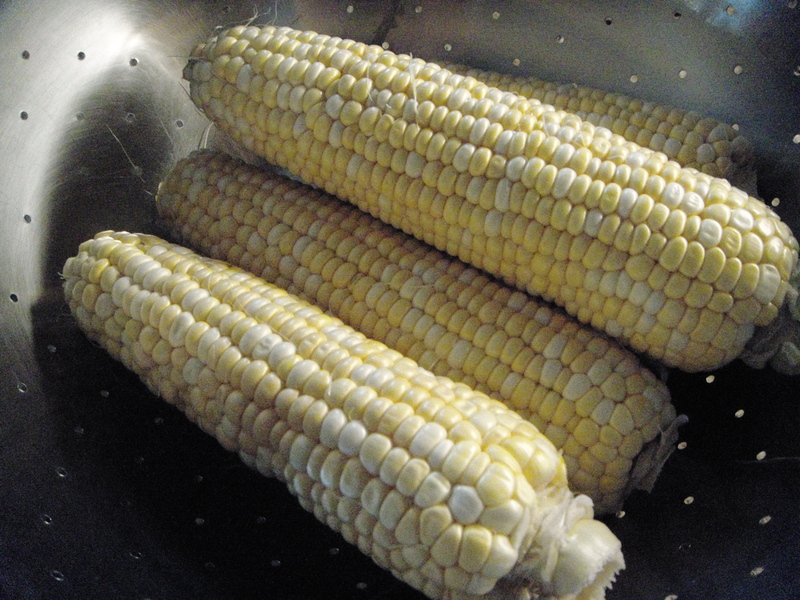 File this meal under easy, rich, slightly sweet and sublimely summer. Oven-baked beans, just simmerin’ away. Boil, boil, bubble and simmer. 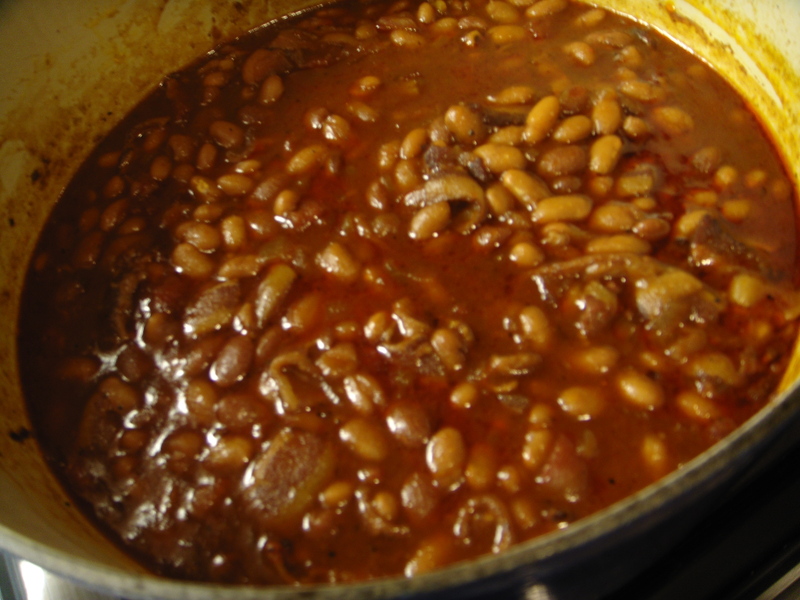 Deeply rich: I give you oven-baked beans. Just have to say that the leftovers, two days later, were the best. UMM..
Just got better and better! Glad you enjoyed them. The photos are great, cuke salad, baked beans & sausages. What a delicious combination!